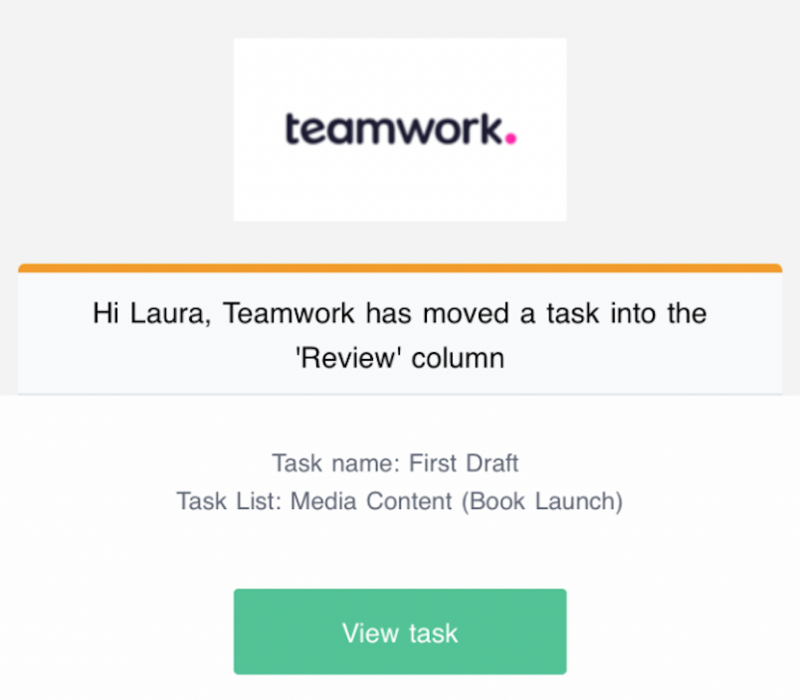 Within Teamwork Projects, you can add triggers to columns in your project's board view to send a custom notification when a card is moved to the column. At the bottom of the modal, you can also add a custom message to include with the notification. 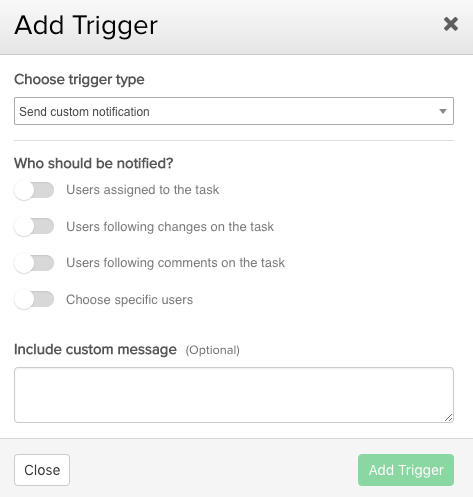 Once the trigger has been applied, it will be listed in the tooltip when you hover over the trigger icon at the bottom of the column. 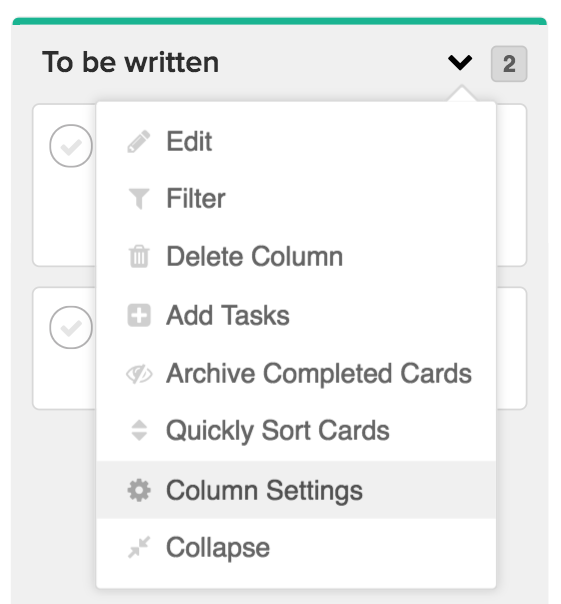 Each time a card is then moved to the column, an email will be sent to the selected user(s) notifying them that the task has been edited. The email will also mention the associated task list and project, the custom message (if set), and an option to view the task in Teamwork Projects.